What inspires Emily Dunn as an acupuncturist is the ability to use a millennia old, drug-free method to help people relieve their symptoms and to facilitate natural healing. She loves how, as an acupuncturist practising acupuncture from the Traditional Chinese Medicine perspective, you treat no two cases the same. She uses time-proven diagnostic tools along with a thorough assessment of your general health to determine the best treatment for you. 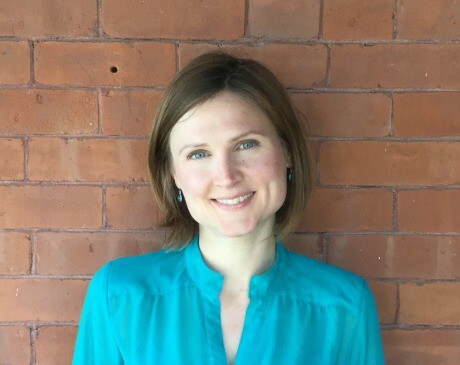 Emily, Licensed Acupuncturist, studied in Ottawa at the International Academy of Traditional Chinese Medicine to become a registered acupuncturist and has additional training in Dr Tan's Balance Method and Master Tung's Points. She has also completed a facial rejuvenation course for cosmetic acupuncture. Emily primarily performs Dr Tan's Balancing Method of acupuncture, which is a systematic way of balancing the meridians of energy. It works almost immediately and has a very high success rate for relieving pain by releasing blocked energy. Such pain may be long-term and chronic, or acute discomfort that started last week after a sports injury or shovelling the snow. The technique works very well on arthritic joints, back pain, neck pain and even sinus pain. Since meridians are both superficial and run deep into the body at the organ level, this method also works wonderfully for addressing internal disorders such as insomnia, seasonal allergies, anxiety and a wide variety of other conditions. She will also incorporate ear acupuncture into her treatments as indicated. The surface of the ear is a reflection of the entire body where one small needle can address that bothersome knee pain or that dizziness you've been experiencing for months. Her training includes cupping therapy where glass cups are suctioned onto the body and left in place or "moved around" with oil. Cupping acts and feels like a deep tissue massage, increasing blood flow to the area, and helps to pull out toxins from the body and relaxes the muscles. This makes it an effective therapy to treat muscle knots, cellulite, colds, digestive issues and to promote relaxation. When not working Emily likes to for walks in the Gatineau park with her dog Jenny, have fun with her nieces and nephew, garden and watch TED talks to learn about random interesting things. Book an Acupuncture appointment with Emily today!